Sikh dharma is historically rooted in the practice and experience of meditation. Roughly five hundred years ago, Guru Nanak (1469-1539) emerged from his illumination in the River Bein to announce to the world 'there is no Hindu and there is no Muslim.' In his lifetime, the founding Guru of the Sikh faith composed inspired verses termed Gurbani, many of which describe elements of the experience of deep meditation. Gurbani together with early Sikh history indicate that Guru Nanak conveyed his technique of inner communion to his disciples and that the practice of deep meditation continued at least to the time of the tenth Sikh master, Guru Gobind Singh (1666-1708). O my mind, ever dwell on God! intrinsic being and they see none other than that being. Through their meditative practice, the Sikh Gurus realized wisdom and forbearance. Not only the ten Gurus showed the powers of meditation. 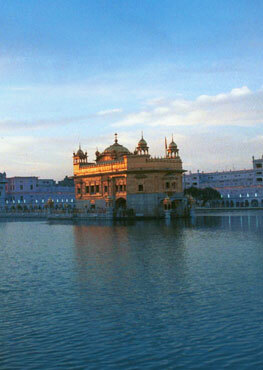 Sikh history tells of many Sikhs believed to have been divinely inspired through their practice of meditation. Numerous disciples of the Guru went as missionaries across south Asia. Many thousands of brave women raised their children as Sikhs in times of dire religious oppression. Thousands of men defended the faith, often against overwhelming odds, in the Guru's armies. Bhai Kanhaiya achieved distinction by serving water to the wounded and dying without distinction of friend and foe. Then there were special cases such as Bhai Kaliana who healed the Raja of Mandi from incurable illness in the time of Guru Arjan and Bhai Jetha who, during Guru Hargobind's time, relieved Emperor Jehangir of his fearful visions. According to Sikh tradition, some devotees offended the Guru through their thoughtless use of spiritual powers gained through meditation. At nine years, Baba Atal raised his playmate, Mohan, from the dead. Baba Gurditta revived a cow a Sikh had mistakenly shot and killed. Ram Rai performed miracles for Emperor Aurangzeb. In the meditative culture that existed when Gurbani was composed, spiritual education could begin early in life. Baba Buddha was a boy when he met Guru Nanak and became his follower. The fourth Guru began his practice as a child when he was effectively adopted by Guru Amar Das. Guru Harkrishan rose to meditate alone each day before dawn by the age of five. Through their meditation, Sikh children and youths acquired grace and inspiration. Guru Arjan Dev is believed to have composed 'Mere Man Lochai' when he was just 18 years old. Guru Hargobind took up the full responsibilities of being Guru at the age of 10 and Guru Har Rai at 14. Guru Harkrishan steered his way through difficult and dangerous circumstances, then peacefully surrendered his life during an outbreak of smallpox at the tender age of eight. Guru Gobind Rai graciously received the severed head of his martyred father and took up the leadership of the Panth when he was only nine. Bibi Bhani set the course of Sikh history by deciding how the guruship would be passed on while she was a young woman. Mata Gujri and Mata Jito both assumed their roles as Guru's wives at very young ages. At seven and nine, Baba Fateh Singh and Baba Zorowar Singh, spurned the temptations of Wazir Khan and embraced martyrdom.